Skylines are quite ugly these days, brutal in fact. But where they come from is quite the opposite. Old school Skylines are very cool and this shot really shows this one in the perfect light. The black wheels and flares on the rear would make it look like it was gliding down the road. A beautiful, clean car. The Skyline name has been around since 1957. Used by the Prince Motor Company and then continued by Nissan when they merged in 1966. 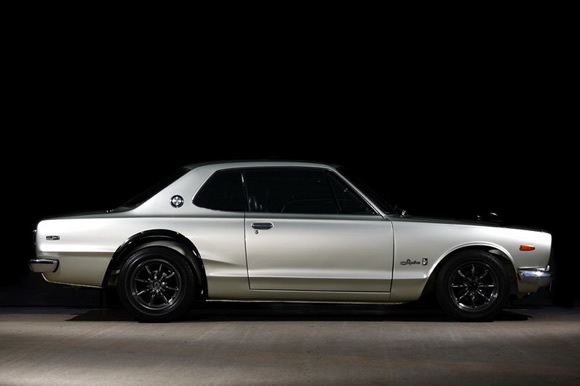 The C10 chassis above was raced successfully until 1971 when the Mazda RX3 spoiled the show.